because it would appear that I’m not the only one! Thanks, all, for the commiseration and advice. 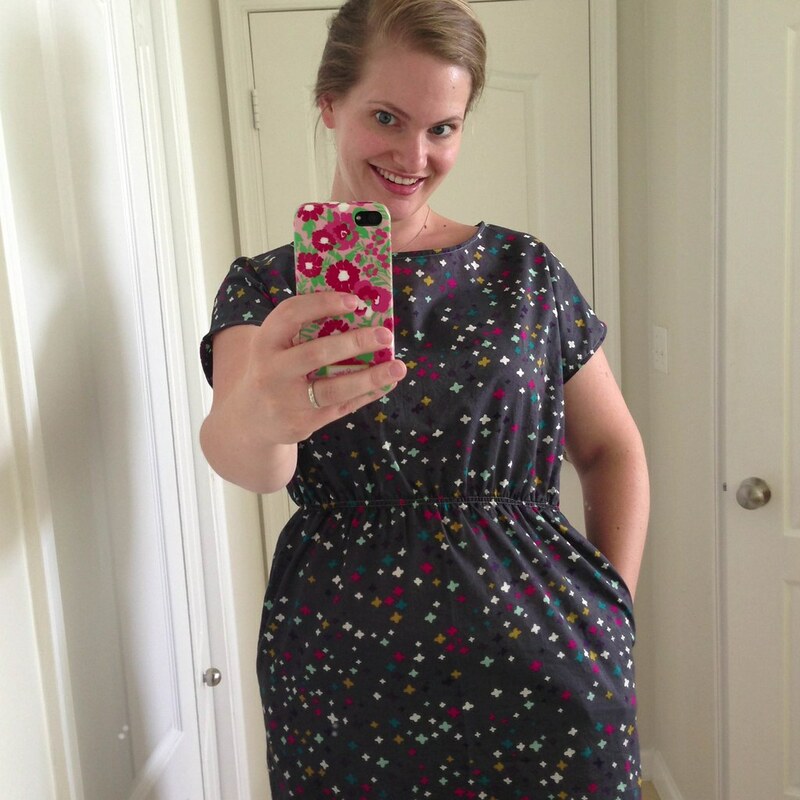 In July I bought the printed Staple Dress pattern by April Rhodes from Pink Castle Fabrics. It was worth whatever extra couple of bucks it cost me not to have to fuss with taping printer paper together. Then I waffled about fabric. I wanted Liberty Tana Lawn. I couldn’t justify spending that much money on a dress when I didn’t even know that the pattern was flattering. Then I wanted Anna Maria rayon. Not sure why I didn’t make that happen. Lazies? I considered everything, and then Rashida Coleman Hale’s Koi voile was put on presale at Stash Modern Fabric and I was all, YES. 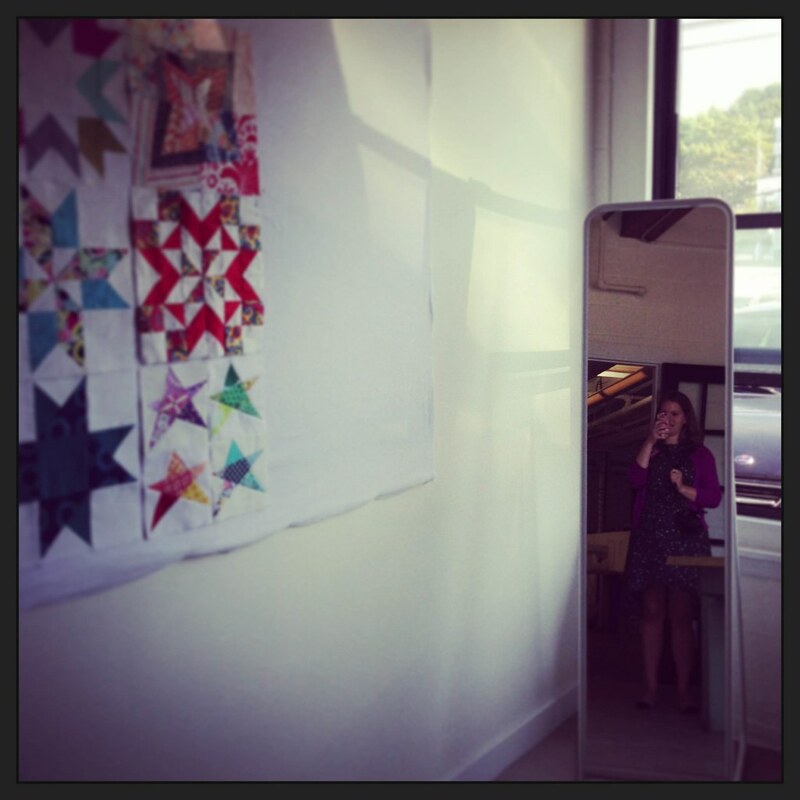 Two months later, I put Lucy down for a nap, trimmed the pattern, cut the dress, sewed the dress, took the bathroom mirror selfie above, and then got the kid out of the crib. It was that quick, and that easy. And it’s a super-flattering dress, in beautiful fabric. What a joy. 2) Let yourself get behind. 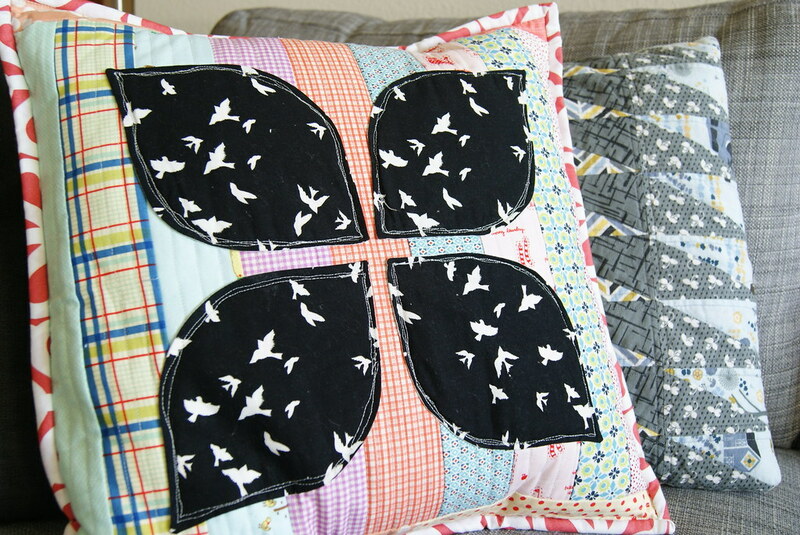 I was super-caught-up on Penny Sampler blocks and practice projects (see, my dogwood pillow, above) about a week ago. I totally let it all slide last week. 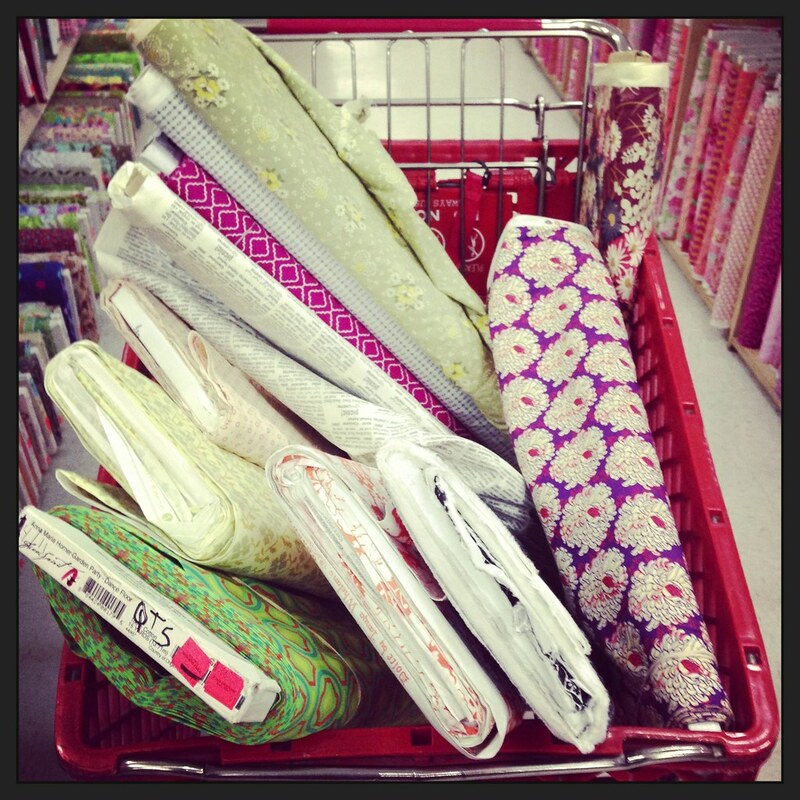 and go fabric shopping in a big way (I’ll fess up about all the fabric buying in a post soon). 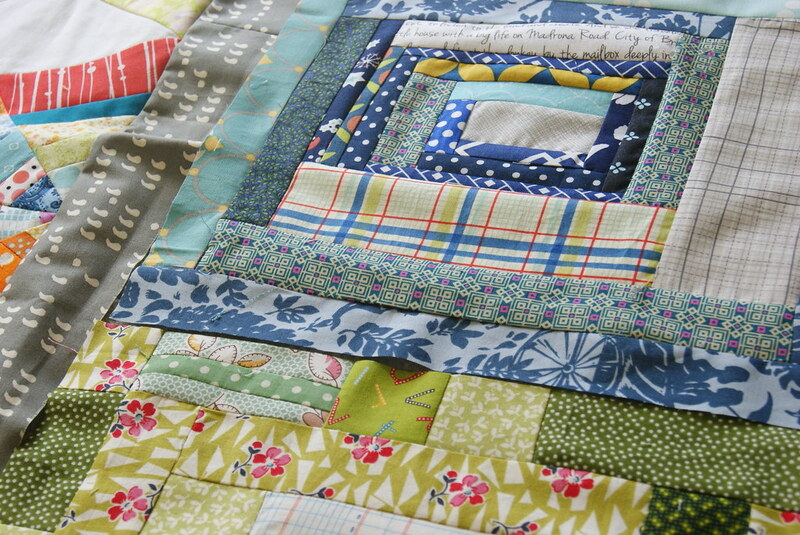 I have nine or ten Penny Sampler blocks to make this week, but I’m so energized from a week of not doing them that they’ll be no problem. 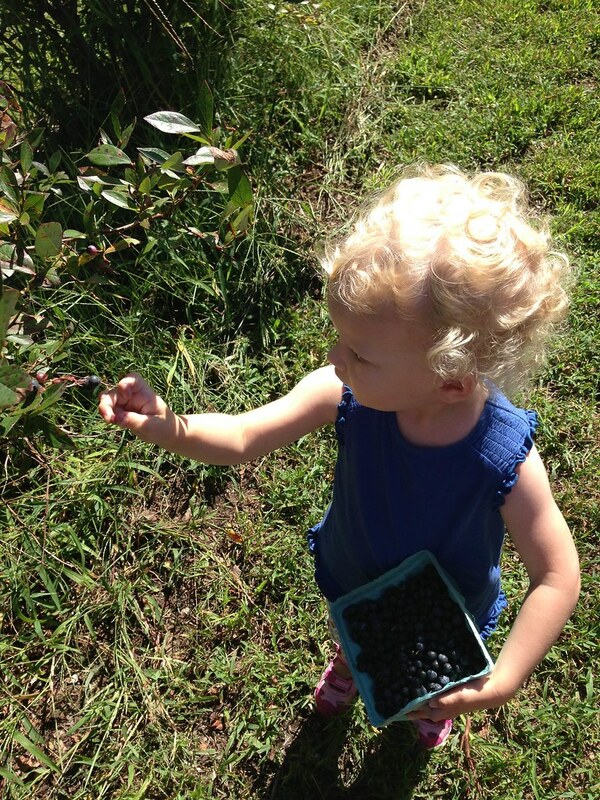 3) Figure out what’s making you feel guilty, and tackle it. 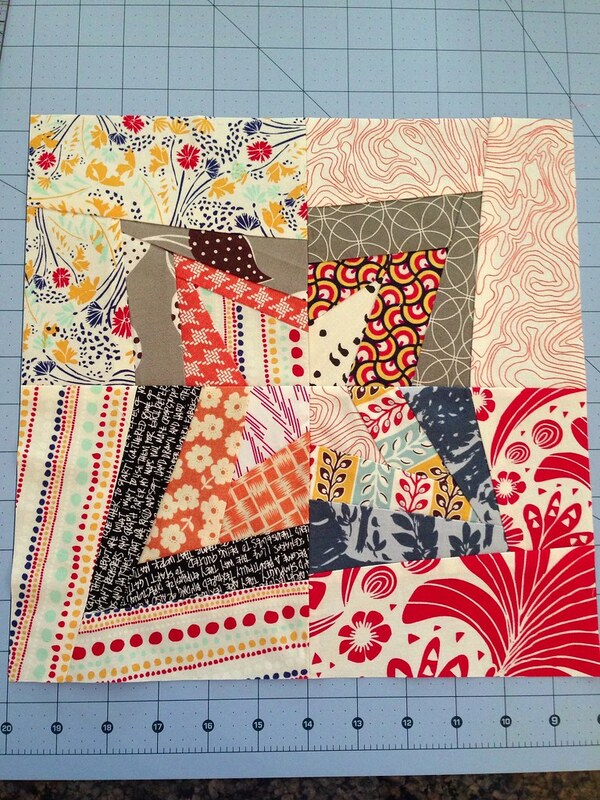 I have two main projects making me feel “obligated.” The spiderweb lottery blocks were a biggie. 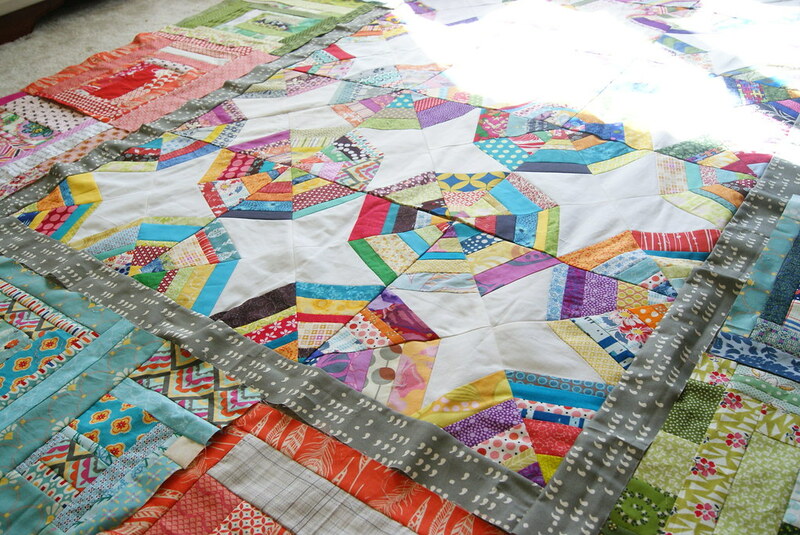 I want my guild members to see them made into a beautiful quilt, because I want them to know how much I value them and their work. The other night I just…sewed them together and started working on a plan. Finally, it goes without saying, I let my camera mostly sit on the shelf and just took iPhone snaps as I went. 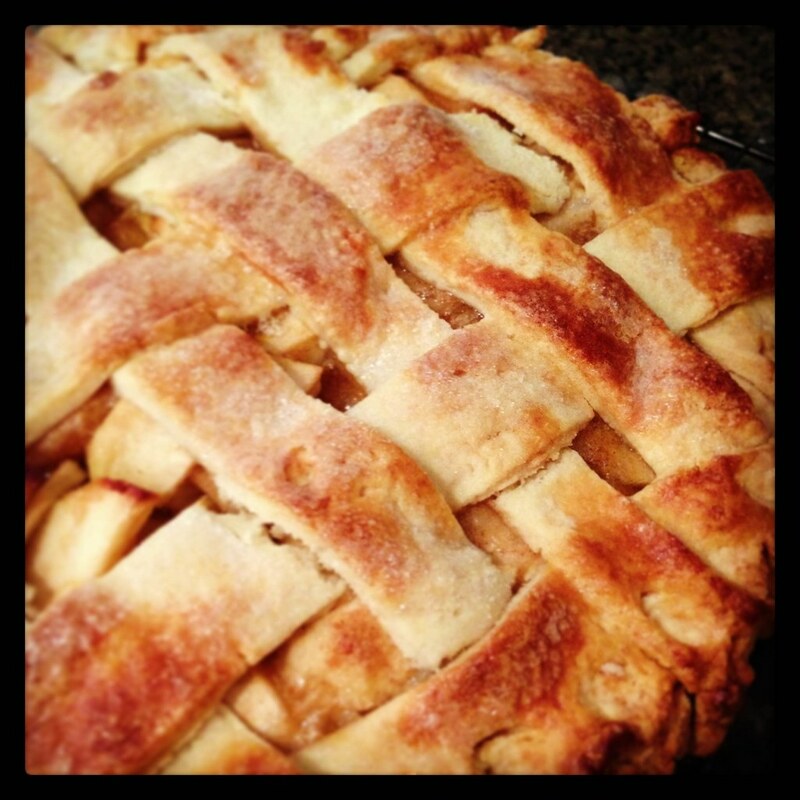 It’s wonderful to Instagram things when you don’t feel like blogging!